Ah, New Orleans, just when we think you couldn’t get more stupid, you prove us wrong. Last week, the City of New Orleans filed suit against the operators of St. Roch Market, seeking to reverse a federal trademark granted to its parent company. Why? Because they’ve been successful, and have opened two locations in other states. The St. Roch Market food hall expanded to Miami, FL in February 2018 — and the city of New Orleans wants all the money the Florida market has raked in so far, according to a lawsuit filed on April 3. The city is suing the operators of the St. Roch Market over the “St. 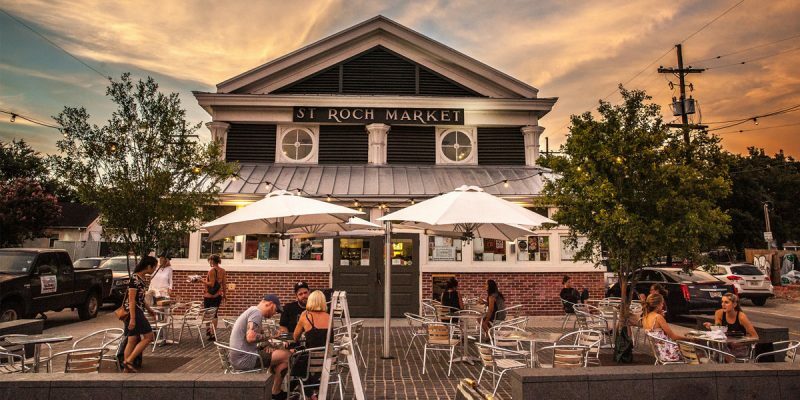 Roch Market” name, arguing that the operators of the modern, upscale food hall crossed a line when they trademarked the name and then used it for St. Roch Market Miami, Todd Price reports. The city owns the physical St. Roch Market, which was a public market by that name starting in the 19th century. After spending $3.2 million in post-Katrina renovations, it leased the market to Bayou Secret, a company owned by Will Donaldson and Barre Tanguis, who turned the space into a glitzy food hall with a bar and several food vendors hawking everything from raw oysters and empanadas to complicated cocktails. Donaldson and Tanguis formed a new umbrella company, Helpful Hound, and received a trademark for “St. Roch Market” under it in April 2017. In February 2018, they opened St. Roch Market Miami with plans to open more around the country with venture capital funding, according to the report. The city says it’s been using the name St. Roch Market in commerce far longer. It’s asking that Helpful Hound be stripped of the “St. Roch Market” trademark, only be allowed to use the name at the New Orleans location, and be required to give all St. Roch Market Miami profits its earned under the St. Roch Market name to the city. It’s unclear what the city hopes to gain by not letting them use the St. Roch name elsewhere. Apparently, St. Roch Miami and St. Roch Nashville somehow infringe on the city’s ownership of the building in which the booming St. Roch Market – the New Orleans one – is thriving. Except that it doesn’t. Instead of whining and taking legal action to void ownership of the name “St. Roch Market,” the City should capitalize on the brand’s success. Why not ask the owners of the expanding company to allow New Orleans-related tourism promotions in their far-flung stores? I know the owners, albeit tangentially through business of my own and not deep personal friendships; they’d probably be happy to promote the City of their origin, where they’ve already brought other successful enterprises to fruition and helped stimulate the economy of a place that is so anti-business it doesn’t even deserve it. Alternatively, or in addition, why not add the St. Roch Market success story to New Orleans’ own branding and use it to attract other startups? Why? Because the City’s collective leadership lacks vision. It lacks a basic grasp of economics. It lacks integrity. Stunts like this damage New Orleans’ already iffy brand and send a message to business-owners: Don’t be too successful here, or we’ll strike you down. Needless to say it’s not the right message to send.